You will not know how much you spend every day, every week, or every thirty days if you do not have a Financial Statement. One of the main reasons and benefits of keeping this statement is that it helps you keep track of your spending habits, enabling you to make adjustments where necessary. 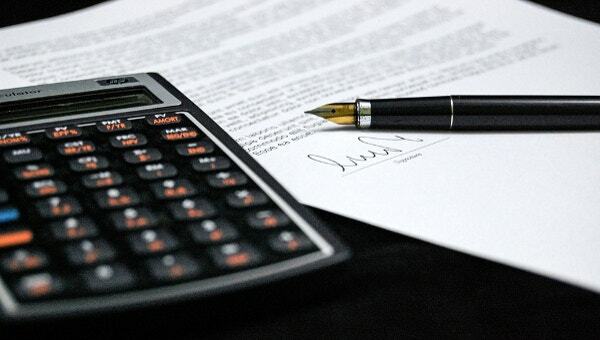 A personal financial statement may seem like something difficult to create. In the real sense, though, all you need is a list of high quality free templates to get started. Here is a list of the best sample files that you can use. 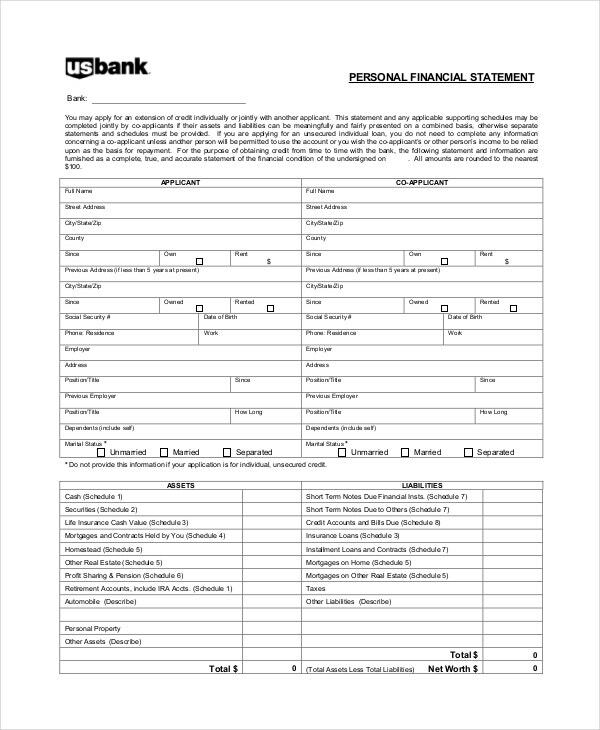 The form comes blank and so you can define your statement from a personal point of view. You don’t need to alter the design of the template though. 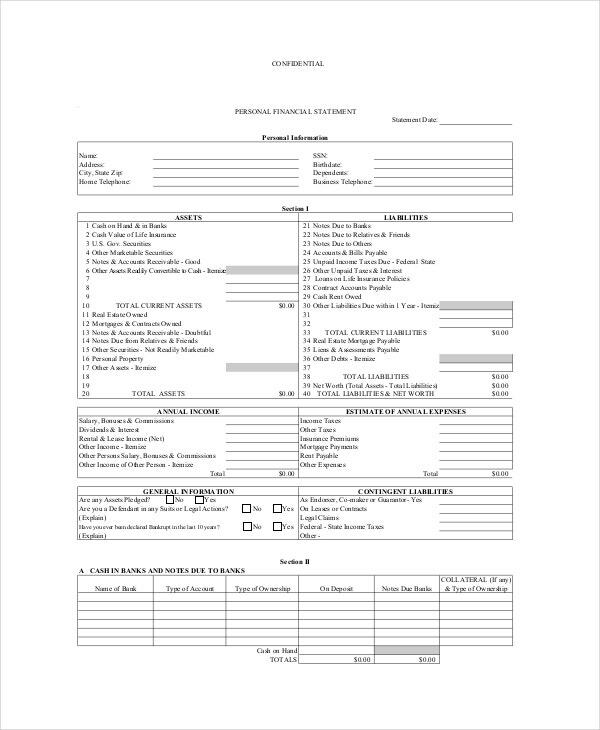 All you have to do is to download the file and then use it for personal accounting. 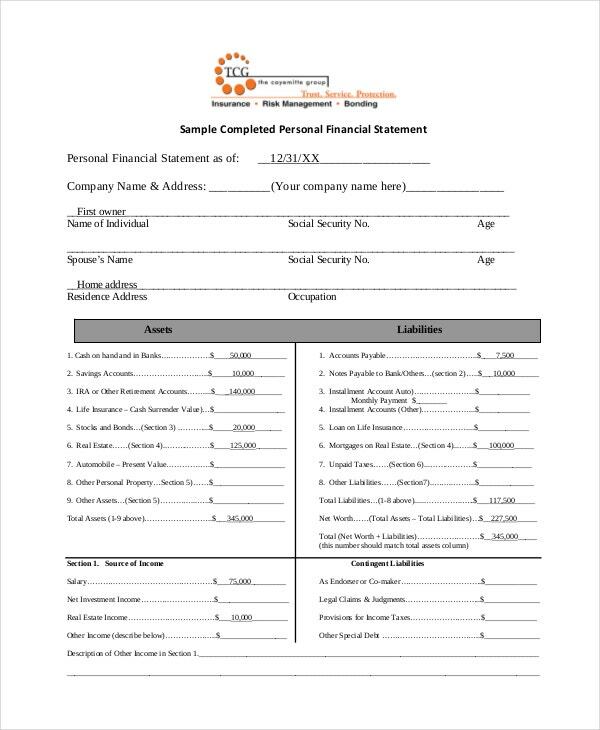 The reason why this form is as basic as it looks is that you need a very simple document to enable yourself to create the financial statement quickly. So of course, this is a good file to use if you want to keep everything simple. You don’t need an accounting platform to keep track of your spending habits. A template this simple is enough, not just because it is free to download, but also because it is free to use. 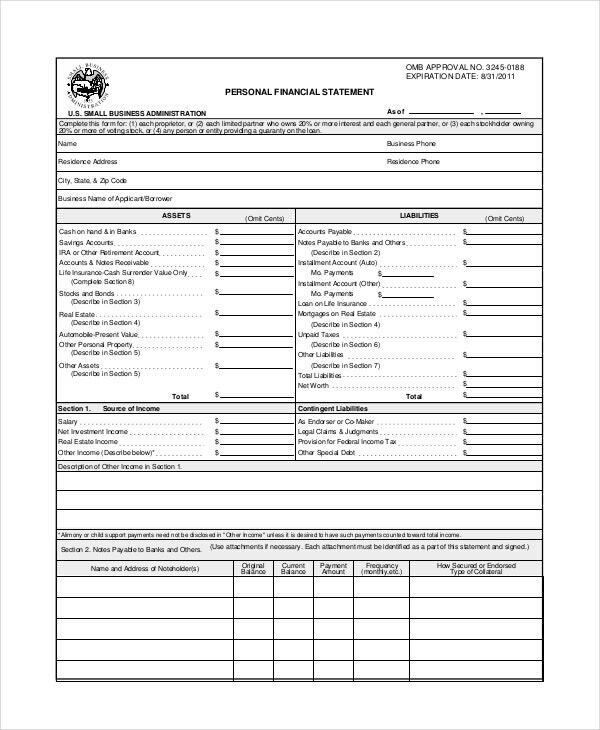 If you own a personal business, then you will find this financial Statement Template useful. The design is standard. All you need to do is enter your information and then keep the files for future reference. Generic personal statements are just that, generic. It means you can use them for any form of financial statement, be it daily, weekly, or monthly. They are free to download and easy to customize. They are cheap. In fact, you get any of the templates in this thread with a single click of a mouse. Because you get these file for free, there is no real reason why you should create them from scratch. The design does not require editing. Of course, creating the layout of the document is what often consumes a lot of time. At the end of the day, you end up spending a lot of time creating these files and then starting to write your statement. But doing all this is unnecessary. 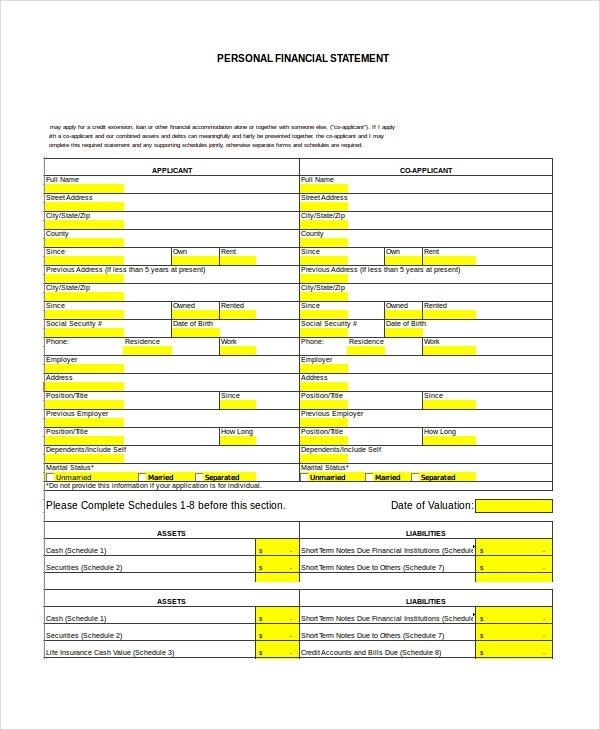 All you have to do is to download a template, and then use it to fill out your data. 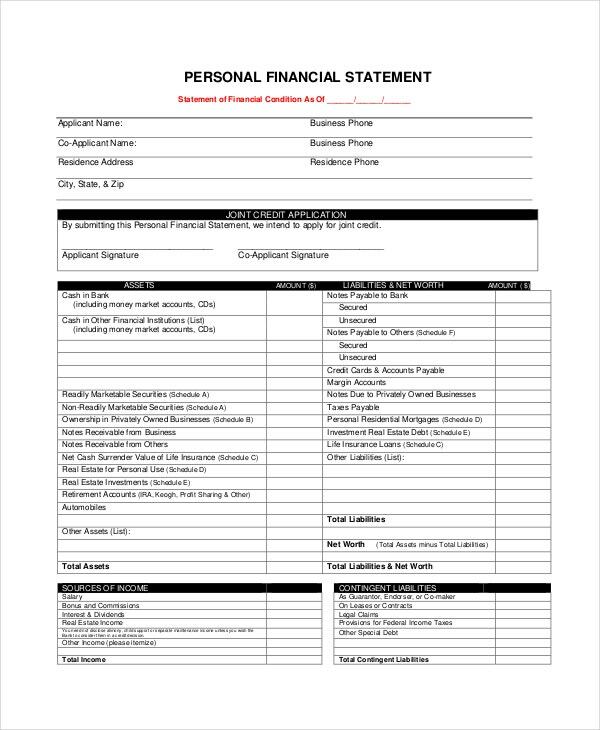 Why do you need to write a Personal Financial Statement? To account for the money you spend in a given period. Knowing how much you spend and what you spend the money on will help you analyze your spending habits easily. You write a personal financial statement for your business to keep an accounting record of your business’ performance. At the end of the day, it is important to analyze the finances of your business to study the financial progress of your business. You should have this statement so that you can optimize your spending habit. Of course, a personal statement is almost always used for this purpose. And writing one is the only best way to help you determine how you spend. It is important to remember that preparing a Personal Financial Statement is not a one-day job. You will need to do this every day so that you know how much you are investing and how much you are getting from your investment. If you are using the templates to track your spending habits, you will also find them helpful for optimizing your spending overall.